Come and listen to the soothing sounds of birds chirping whilst perusing the latest exhibition in Matariki. 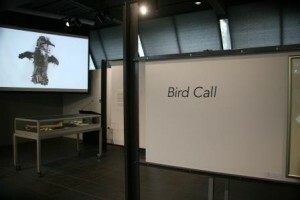 Bird Call gathers objects from across UC’s collections and further afield to contemplate the relationships between ecology and representation. The diverse representations of birds portrayed in the sciences, the arts, and ephemera articulate and inform evolving relationships between birds and human-kind. See the exhibition: Matariki, level 1, lower concourse. Open 8.30am-5pm Mon-Fri until June 23rd. All welcome!